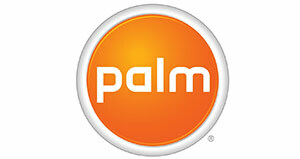 Well it seems HP has let a couple cats out of the bag about its future plans for the Palm brand thanks to a filing with the United States Patent and Trademark Office (USPTO). A filing for the name ‘PALMPAD’ has been discovered on the USPTO website that was submitted on July 9th by HP. It is listed for the categories of “Computers, computer hardware, computer software, computer peripherals, portable computers, handheld and mobile computers, PDAs, electronic notepads, mobile digital electronic devices”, so if this is one device, or several is unknown at this time, but it is not unusual to ask for a trademark in this manner and then only use it on one device. Ever since HP bought the Palm company in April, we’ve been waiting to hear what exactly the company planned to do with it. It quickly looked like the entire purchase was about Palm’s webOS operating system, the only good thing to have come out of the Palm Pre and Palm Pixi debacle. One of the first concepts to come up was that HP would port the operating system on to a tablet of some type, and we even heard that would happen as soon as this Oct. so that the company could have something out for the holiday shopping season. Since that time we’ve heard of a mysterious project codenamed ‘Hurricane’, which many people assumed was a tablet of some kind, but with such an ambiguous name, it was hard to tell. There is still nothing concretely linking PALMPAD to the Hurricane project, but it’s seeming like a definite possibility. The PALMPAD name is a bit troublesome to be honest. Just because Apple has a tablet named iPad doesn’t mean that every other device in the marketplace has to use the word “pad” in its name. Are we now going to refer to all tablet/slate computers as “pad computers”? And doesn’t that sort of give a boost to Apple’s brand? If someone hears or sees an advertisement for the PALMPAD, due to the length of time the iPad has been in the market, that is the device their brain will naturally go to. There is also the chance this is just a protective move. Companies file for trademarks all the time to cover themselves, and then sometimes never release anything for them. It seems unlikely this is the case, but you never know for sure. If this device is real, and it is running webOS as we would obviously suspect, this could be a huge step forward for a brand we all thought would end up dead a few months ago. While the Pre and Pixi handsets were pretty much universally despised, everyone sang the praises of the webOS. To see it transferred to a totally new device could breath a lot of life into the company HP spent $1.2 billion to acquire. And if the PALMPAD is a success, we could see Apple CEO Steve Jobs kicking himself in the behind for losing out in the bidding war. Only time will tell what exactly is happening here, but if I was a betting man, I would say prepare yourself for a webOS powered tablet named the PALMPAD hitting store shelves sometime this fall.